You're being looked at differently these days; you have a reputation for being pitiless. By making 100 upgrades you have shown you are as efficient as a factory! So, now you're the free combat champion of the arena on Mars! You really are having trouble settling down: you also had to leave Noctis. You have solved all of your companions' problems; they couldn’t have hoped for a better friend! You have decided to reveal everything, and thus to be the architect of a new era. 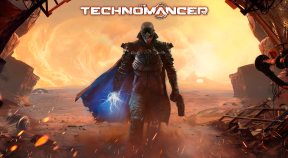 You have finished The Technomancer in extreme mode; you are a true journeyman of the apocalypse! You have finished The Technomancer in normal mode; now you're qualified for space travel! You guard a heavy secret, but now you are an officer in the Abundance army. Whatever your reasons, you have rendered service twenty times! It's only the beginning, but by upgrading your first skill you're on the right track! You are a peerless guardian; this type of combat holds no secrets for you. You are slippery as an eel; you are expert at all thieving techniques! You create fluid at will; you are a true master of technomancy. Staff combat requires incredible discipline, and you have it down to perfection. Nothing can beat you; you have carved up 100 creatures. By hitting enemies 200 times with a pistol you have amply proven your shooting skills. You've electrocuted enemies 200 times; it's effective but people are going to think you're sadistic. You have hit enemies 200 times with a staff; let's hope they've finally learned their lesson! You have killed 60 creatures. Don't you ever think about protecting endangered species? The 50 humanoids you took out find your technique elegant and very effective. You have knocked out 100 humanoids; they feel you've been a bit heavy-handed. No one can doubt your ability to defeat your opponents now; not after 200 KOs. You are the ally of the Noctis merchants. Now those are friends you can surely count on. You have successfully parried 200 attacks with your shield; you really are hard to hit. No doubt a utopian sleeping inside of you; you have allied with the opponents of the regime. You have succeeded in seducing Amelia; now you are ready to scour the tracks of Mars together. You have discovered your soulmate in Andrew, and together you are enjoying the perfect love. You have managed to melt Niesha's spying heart; now she will only have eyes for you. Soldier once, soldier forever: you have allied with the Abundance army. You love digging deeper; you are a complete expert at a talent. Your light fingers have let you pick 50 locks.